Wash and dry fabric before applying Fabric Fusion fasteners. 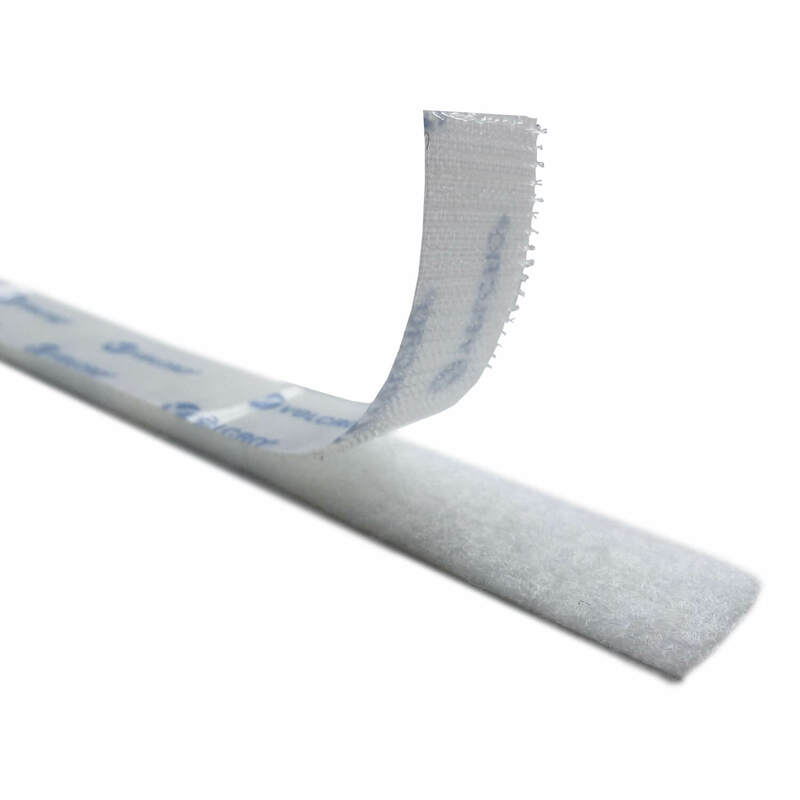 The heat-activated adhesive works on most heat tolerant fabrics, including cotton and blends, polyester, fleece, suede, canvas, denim, and nylon. For delicate fabrics, a press cloth is recommended. 1. 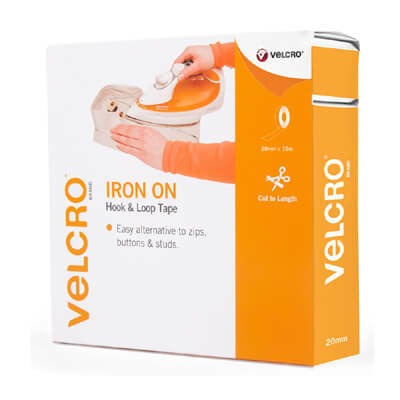 With steam activated, heat steam iron to highest setting. 2. 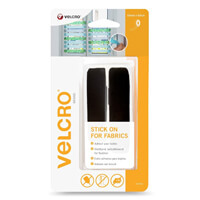 Remove VELCRO® Brand release liner from back of loop tape. 3. Position adhesive side on fabric. 4. Place fabric, fastener-side down, on pressing surface. 5. Press for 90 seconds, applying pressure and moving iron back and forth. Do not scorch the fabric. For delicate fabrics, a press cloth is recommended. Do not apply heat directly to loop tape. Steam iron performances vary. Cool fabric completely and test bond by lifting edge. If the fastener has fused, the edge should be fixed. If the edge can be peeled back, apply heat again. After applying Fabric Fusion fasteners, wait at least 24 hours before laundering. After waiting 24 hours, the fabric can be machine washed or dry cleaned. Close fastener when cleaning.